Genesis is a great theme with much possibilities for theme modifications. It is a Premium theme. It is SEO optimized powerful. It has a support forum. If you have any problems regarding this theme, you will get help immediately. Previously I have used Thesis. It is a great theme too. Recently I have shifted to Genesis. In this post I am going to share with you the Genesis theme customization tips. You can customize your theme with simple code snippets. You will need to add them in style.css or functions.php. You can modify these files through WordPress Dashboard -> Appearance -> Editor. I will add here more tools when I find one. I suppose you are using Child theme. Because if you modify your code Genesis framework, it will be lost with the update. All of the code may not work. Some codes may cause your website to be broken. Use them with cautions. All codes are tested and most them are applied to this site. I have found them through Google Search. Remember to Take a Backup of style.css and functions.php in case anything goes wrong. See here Genesis related post. Before cooment appear in site it must be moderated. usually it show “your comment is awaiting moderation”. But you can change it, according to your need. Heres How to change it. I have changed it like this below. Add the following codes to functions.php of your child theme. Change the word “Submit Comment” to what you want. You can remove the default footer and add your own custom text, links etc in footer section. Add your desired text or links and add the codes to functions.php of your child theme. You can change the read More text to whatever you want. You may add Continue Reading. It sounds good. Spam is a major problem. Adding a comment policy will not the spammer. But it looks good to have a comment policy above the comment form. the Human spammer will get notified and think twice before spam. It is not shown to logged in user. See my comment area for live demo. Suppose you have a lot comments. So your visitor will need to scroll below to add a comment. Why do this? Add the Comment Form Above Comments. To reposition the comment form to above comment list, you may use the following code. This code should be inserted in functions.php of your Genesis child theme. See here Demo of Comment Form Above Comments. 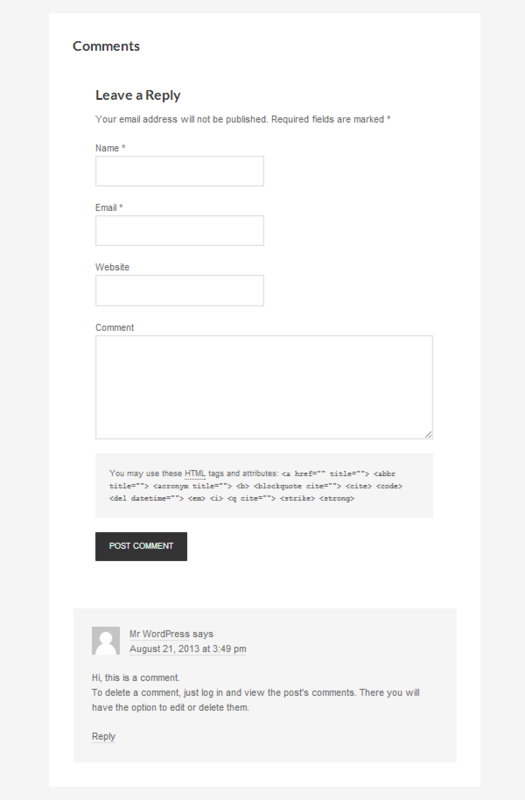 How to modify the comments form to remove the URL or website field. Add this code to functions.php. Return to top is available at the lower left corner. you can change the text to whatever you want. Above I have showed you the process to edit the entire footer. If you dont do that, consider the below code. Add this code to functions.php. Change your site url and name. No more today ! Thanks for reading this post. If you liked this post, consider to share it with your friends. I bet this will charm them too.